If the timely cargo delivery is not the highest priority and there is a possibility of lowering the cost of services, multimodal transport is a convenient way to organize the implementation of a forwarding order. 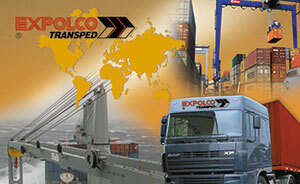 Expolco Transped Co. ltd. offers transport of maritime containers directly to/from the "door''of the customer, using rail and car. Due to the existing inland multimodal network,we signifficantly reduce the transportation cost. We bid our customers an alternative logistic solutions in terms of both national and international operations.